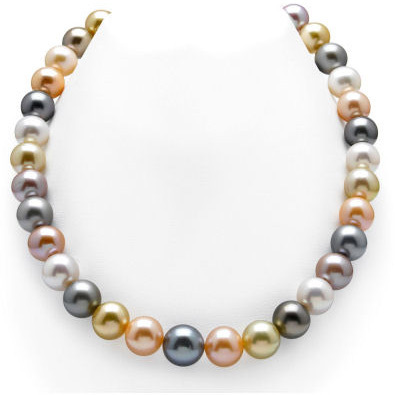 This necklace is a gorgeous combination of Tahitian, Golden, and Freshwater pearls. 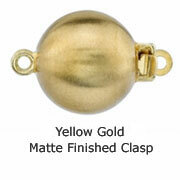 Multicolor necklaces of this caliber and variance have become our specialty here at Apples of Gold. The variation in gorgeous colors allows for an unparalleled look that will suit any occasion. This strand is measured at 10mm in the back and graduates perfectly to a gorgeous 12mm centerpiece. The necklace includes AAA quality pearls with "Superior" grade luster, our highest category available. We guarantee our 10-12mm South Sea & Freshwater Multicolor Pearl Necklace to be high quality, authentic jewelry, as described above.